The construction of the bath is one of the cherished desires of many men. 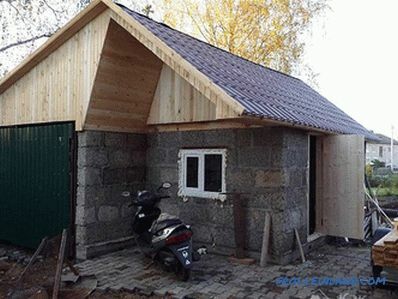 It is noteworthy that it can be made not only from wood, foam block or stone. 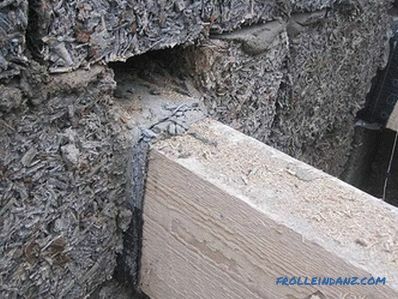 For this purpose, you can use arbolit - a material, which consists of sawdust and cement mixture. 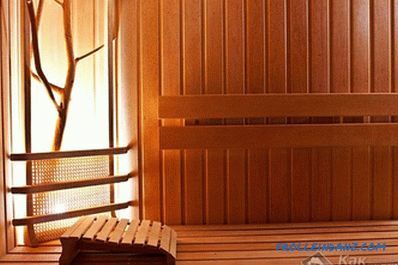 It is ideal for the construction of baths, as it has high thermal insulation properties. And most importantly - it does not rot and is not subject to burning, as the tree. In the article we will tell you how to build a bath of arbolita with your own hands, show photos and video instructions. 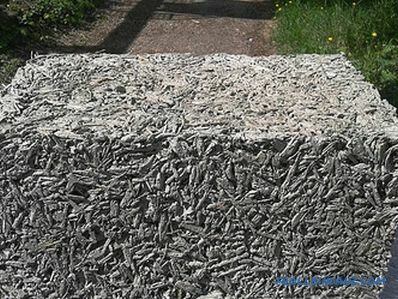 Arbolite is a type of lightweight concrete. You can buy it in hardware stores or just make it yourself. To do this, take the chopped wood (sawdust), water and cement, and knead the solution. For quick setting of cement, aggregates must be added to the composition. Alumina sulphate, calcium chloride or lime may be used. Often use lime milk. Low weight. One arbolit block in volume is the same as 15 ordinary bricks, but its weight is 10 times less. High frost resistance. The high term of operation, material remains very long. A high degree of heat saving. 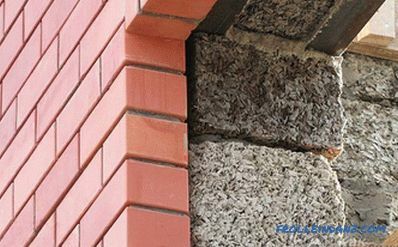 Due to its heat-saving characteristics, it is superior to expanded clay concrete. Ideal for machining. It can easily be drilled, chopped and sawed to fit the size. 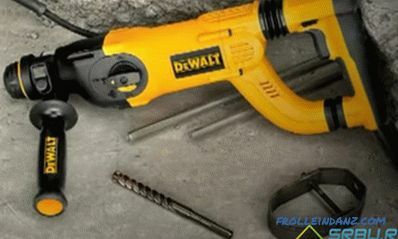 Nails are easily nailed to it and screws are inserted. Plastering wood concrete walls is very easy. Cracks do not appear even after the building shrinks. The material does not rot, which is an important factor, since it is a question of building a bath. If you make a bath of arbolita, then you can trim with different materials. 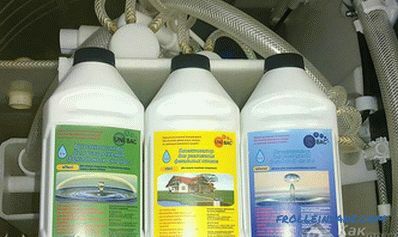 All these properties make arbolit an ideal material for a bath. Let's learn how to build such a building. The first thing on the ground is the marking of the future building with a cord and pegs. Based on a guide, a trench is dug. 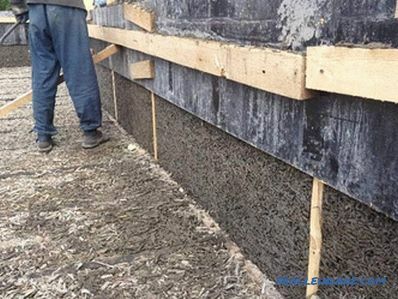 Choose the width of the foundation so that after laying the walls there is a wide ledge that allows you to put logs under the wooden floor. Then you need to lay drain pipes through which water will flow. At the bottom of the ditch you need to pour sand in the 20-25 cm. Then you need to install the formwork along the edges of the trench. It is better when the basement has a height of not less than 40 cm. A rubble, sand or wooden bars are laid in a trench with a layer of 5 cm - a pillow is formed. A reinforcement mesh is installed on top of it. 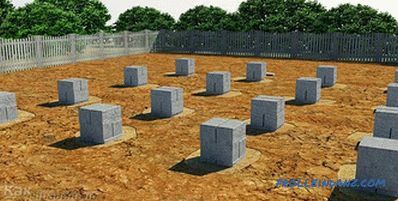 Now it remains to fill in everything with a solution of concrete, compact it and level it. The entire area where the steam room will be located must be poured in a layer of 5-8 cm, making a slope that will be directed to the opening of the drain pipe. The final stage will be the waterproofing of the base. It needs to be smeared with bitumen and lay several layers of roofing material. It is necessary to carry out further works on the construction of walls after about a month, when the concrete solution is completely strong. In order to avoid formation of cracks, the first two weeks the design needs to be humidified every day. install concrete or brick pillars with strapping on top (grillage). It can be from a metal frame, which is welded from corners, or from a monolithic belt (the material can also be different: wood, reinforced concrete or metal). Asbestos-cement pipes filled with concrete can also be used as supports. 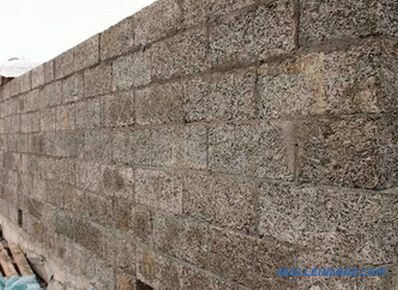 In this case, the distance from one pipe to another should not be greater than 1.5 m.
At this, the first stage is completed, you can proceed to the construction of walls of arbolita. Monolithic wall of arbolitovogo solution. The first method is quite simple. Enough to buy blocks and get to work. 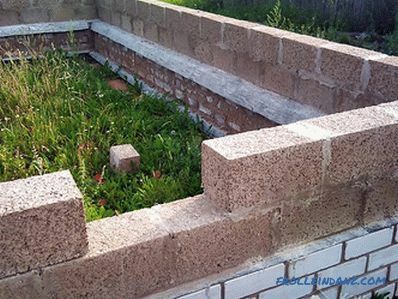 The laying is done in exactly the same way as the laying of ordinary bricks. Only there are some nuances.Before installing the blocks, they need to be moistened, as arbolit can draw out liquid from the binder, because it absorbs moisture well. 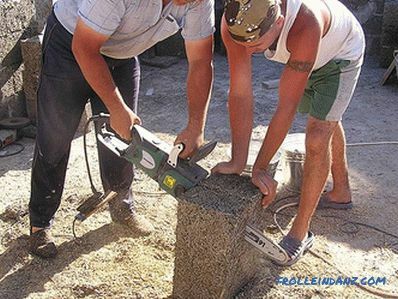 And if they need to fit the size, use a saw for cutting stone. 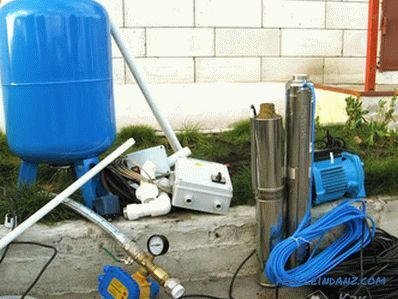 As a solution, you can use perlite mixture or cement-sand mortar. You need to start putting blocks from the corner. It is also important to ensure that the horizontal line is level. For convenience, you can use the lace. Place the two corner blocks ideally even, stretch a rope along their edge, which will be a guide for even laying. Using the trowel handle, the blocks can be customized along the line by tapping them on top. Please note that the thickness of the seams should be no more than 10 mm. After laying the first row, you can proceed to the second. Corner blocks are put in, the rope is stretched, and the laying continues, but with the bundle chosen. In the trough, sawdust and shavings fall asleep, which serve as filler. All this is filled with limestone milk, after which mineral additives are added. Then this mass must be gently mixed. For this purpose it is better to use a garden hopper, and not a shovel. Now you should pour the cement and mix thoroughly until a homogeneous mass. Gradually add water, stirring the entire solution. To determine if the solution is ready, take a bit of the mixture and make a small lump of it. If the solution interlocks, then everything is ready. The consistency should not be liquid. If the solution does not adhere well, you need to add more cement and sawdust. Care should be taken in advance to install the formwork. It is better to choose a removable or sliding formwork, whose height is 1-1.2 m. It is better when the formwork is made of asbestos cement sheets (flat slate). Inside it can be covered with limestone milk. 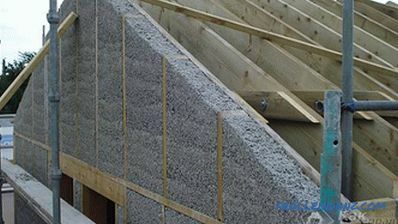 It is important to secure the formwork, which is installed on the foundation. For this use the clamping bolts with parallel bars. The edges from the top must be backed up with jibs. 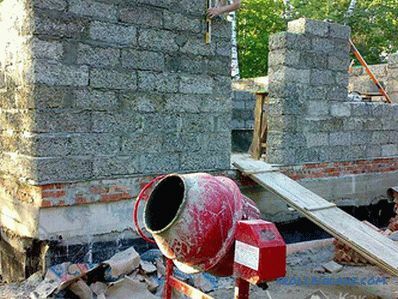 After everything is ready, you can pour the wood concrete mortar. It is important not to fill the entire formwork to the brim. It is better to pour a mass of not more than 50 cm at a time. Then everything must be tamped down and left to dry. If the temperature is 18-20ºC, then the composition will harden in 2-3 days, and if the temperature is lower - in a week. Once everything is frozen, the formwork is removed. 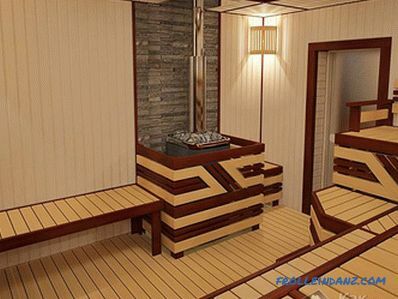 It is important to do this carefully so as not to damage the composition, carefully removing the bolts and planks. 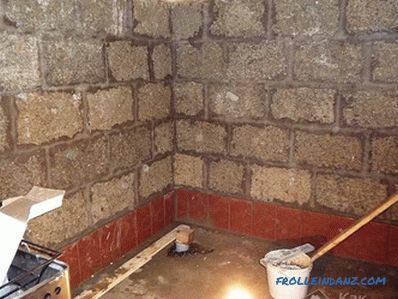 After that, the formwork is fastened higher, already on the finished wall, and the process is repeated until the wall reaches the desired height. Wood concrete is a hygroscopic material, so the walls need to be covered from moisture so that they do not collect moisture. Inside, the walls are sheathed with the use of vapor barrier, and outside - they are lined with decorative brick or plaster. A ventilation gap must be left between the wall and the cladding material. When building a bath of wood concrete it is important not to allow its surface was in contact with water, because of its hygroscopicity (its ability to absorb moisture and water vapor from the air), the entire building may shrink. On the walls, bars must be installed from the mauerlat. Then fix the rafter legs on them. To stretch a waterproof film on the rafters. Now your design is complete. 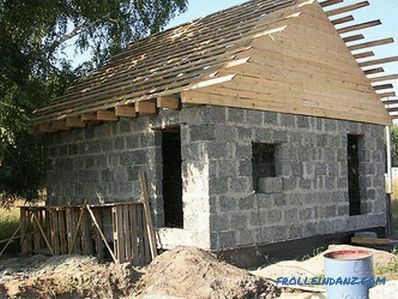 There remained only minor work on the finishing of the building. do not cause allergic reactions upon contact with skin. 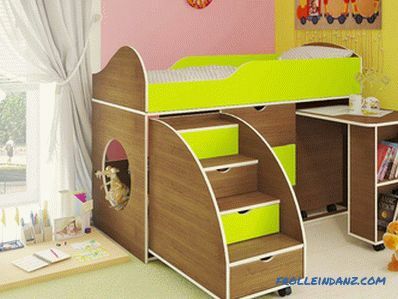 The most suitable option is natural wood or wooden lining. 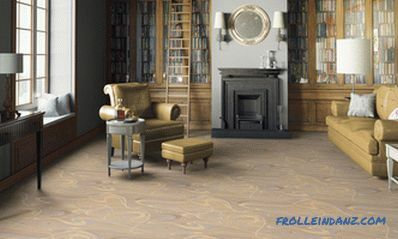 But you can use other materials that are suitable for all regulations and requirements. This completes the construction of the arbolite bath. Now it will serve you for a very long time, and you can not worry that after a while the walls will crack even after the building has shrunk. We also recommend you read the article "Sewerage in the bath with your own hands."